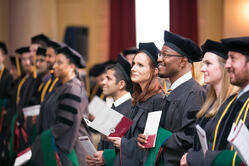 Trinity School of Medicine has always prided itself on the strength and ambition of its students. So many of our future physicians come our way looking for something new—whether that's a unique learning environment built on support and a strong relationship with the faculty, a curriculum with an emphasis on clinical skills and service to patients, or just a fresh start. 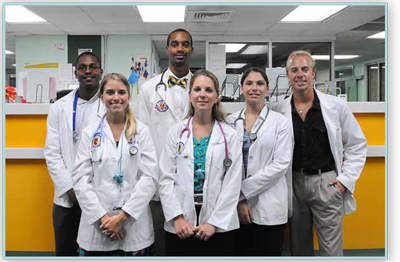 Trinity School of Medicine is known for being one of the highest ranking Caribbean medical schools in St. Vincent and the Grenadines. Graduates from Trinity’s Doctor of Medicine (MD) degree have secured top choice residencies for the National Residency Match Program (NRMP) and the Canadian Resident Matching Service (CaRMS) in a wide spectrum of specialties - from surgery to pediatrics. 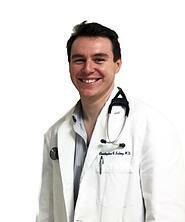 We are incredibly proud to provide quality medical education to promising future physicians. At Trinity, we believe that an excellent future physician possesses qualities outside of the classroom and has a passion to serve their community. This is why we encourage students to participate in student activity groups as a way to network and become involved with philanthropic projects. Activity groups include: student government, Society of Medicine & Surgery, American Medical Student Association, the Canadian Medical Student Association and more. Join other Canadian students from Dalhouse University, University of Toronto, McGill University and more who have decided to study at Trinity School of Medicine. For those concerned about tuition rates, Trinity currently enacted the Exchange Rate Hardship Grant for Canadian students. See what former students and now practicing physicians have to say about why they choose Trinity. Dr. Ezekiel's path to medicine was one we know well: he came from a family of physicians and, after graduating, felt the need to follow the path himself. "I was always influenced by my family. And after undergrad I was working in clinical research for a private firm. It was good work, we were researching new diabetes medication, but it just wasn’t fulfilling. I always felt like I could accomplish something more." Kendra Allen was looking for two things from her immediate future: a path into medicine and a chance to study abroad. 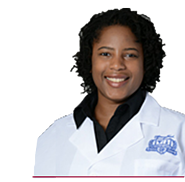 The opportunity to travel and Trinity's focus on helping students meet their full potential caught her eye, and she soon found herself packing for medical school in St. Vincent and the Grenadines. Dr. Saling's path into medicine is a journey all its own. 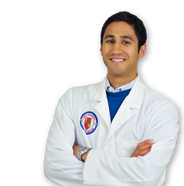 After grad-uating from college and transitioning to a career as a trader on Wall Street, it didn't take long for Chris to realize that his dream of going into medicine was something more; it was a calling. According to the pile of "What do you want to be when you grow up?" assignments his mother has saved from his childhood, the answer was always the same: "A doctor." 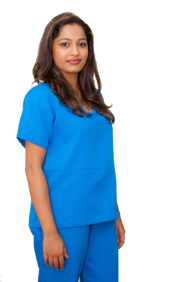 Dr. Jayarangaiah has just finished her internal medicine residency at the Marshfield Clinic in Wisconsin where she served her final year as chief resident—an ongoing trend with Trinity graduates. While her next step at Wake Forest will be working as a hospitalist, her long term goals are on specializing in hematology-oncology. Dr. Garcia, a Miami-raised Florida International University graduate was a proud member of Trinity's first graduating class. When asked what stood out most about Trinity, he said it was the accessibility to, and the relationships with, the school faculty. He also wanted to make sure that Trinity students, current and future, remember that every decision you're faced with is a different opportunity to shape your future, and where you may start, for whatever reason, doesn't have to limit where your next steps take you.